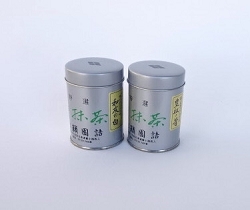 Seijo no Shiro usucha (thin matcha) 20 gram: Smooth consistent flavor, sonorous, broad, expansive. 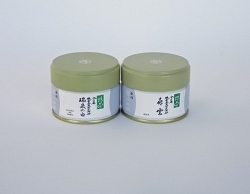 Shoun no Mukashi koicha (thick matcha) 20 gram: teaming flavor within abundant sweetness and subtle brightness. Please enjoy the comparison of matcha and serve each as suited to your tastes.